Begun in 1949, the Gordon Trophy is the second oldest International Tennis Competition, bested only by the Davis Cup. It was started by three men: Harry S. Spencer of Montreal, W. Dickson Cunningham of New York, and G. Blair Gordon of Montreal, who donated the magnificent trophy bearing his name. 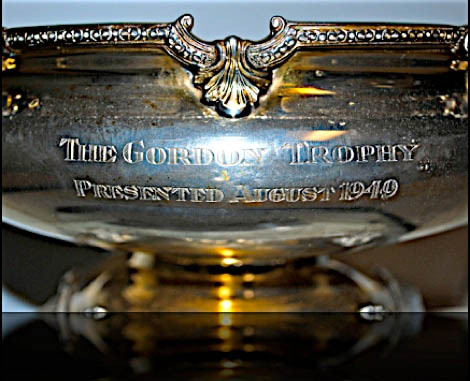 Established after World War II, the Gordon Trophy has been played annually. It is a team competition between the United States and Canada and features the highest caliber of tennis for players 45 and older. Originally only four singles and four doubles matches were played. It has now expanded to over twenty-five players on each team due to the honor and privilege players feel in representing their country in senior tennis competition. The Gordon Trophy’s long history has been held at some of the finest Clubs as the competition has alternated between the United States and Canada. Some of the venues have included The Seigniory Club (1949), Boston Country Club (1950), Brookline Country Club, Lake Placid Club, Toronto Cricket, Skating & Curling Club, The Donalda Club, Vancouver Tennis Club, Seattle Club, White Oaks Club, Portland Racquet Club, The London Hunt and Country Club, Jericho Tennis Club, the Cleveland Skating Club, the Granite Club, and the Cleveland Racquet Club.